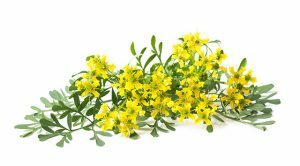 Rue, which has the scientific name Ruta graveolens and is also known as ruta or herb of grace, has been placed highly among the ranks of herbal medicines for centuries now. For instance, ancient Greek philosopher and scientist Aristotle recommend it for calming nervousness. For his part, Roman author and naturalist Gaius Plinius Caecilius Secundus or Pliny the Younger said it is good for vision health, while Grek physician Hippocrates said rue provides a general feeling of well-being. Rue contains herbal extracts that are, in essence, very poisonous. The thing is, it is this poison in rue that makes it a very effective herbal medicine. Thus, extreme caution should be applied when using it, and people should avoid getting it into direct contact with the skin and eyes. Smelling it or ingesting it should also be avoided, as much as possible. Rue has anti-inflammatory properties. It can be used to alleviate the symptoms of gout, rheumatism, and sciatica, which is characterized by a tingling or numbness that originates from the back and travels through the buttocks all the way down to the sciatic nerve in the back of each leg. It can also be used to treat joint pains like arthritis. Rue has anti-fungal properties. It can eradicate fungal growth both inside and outside the body and can be used to treat fungal diseases like Athlete’s foot, dermatitis, decomplexion of the skin, and certain types of food poisoning. Rue can be used as a poison antidote. Rue can be used to counter the posionous effects of substances; however, it can only do so for neurotoxins (lead, ethanol, manganese glutamate, tetanus toxin, tetrodotoxin, botolinum toxin, and nitric oxide), and not for hematoxins (toxins that detroy red blood cells). It is also beneficial against venomous snake bites, insect bites, stings, boils, and warts. Rue has antibacterial properties. It can get rid of pathoegnic bacteria such as salmonella, and those that thrive in the intestines, colon, skin, and urinary tract. Rue has insecticidal properties. As we have mentioned before, rue is a highly poisonous substance; therefore perfect for liquidating pests. It is usually used in vaporizers, burners, incense sticks, and fumigants. Rue has sedative properties. It can give off a calming effect and addresses convulsions and nervous hyperactivity. It can also counter epileptic seizures. Rue is good for the digestive system. It addresses the uncomfortable effects of gas and flatulence and gives relief to colic sufferers. It also acts as a digestive tonic and is used as an appetite stimulant. Rue is good for the female reproductive system. It promotes healthy and regular monthly periods. Rue can either be dried or fresh when you use it. It blends well with the essential oils of benzoin, chamomile, fennel, frankincense, thyme, pennyroyal, bay, myrrh, and wormwood. However, women who are pregnant, or are not sure if they are, should not use rue in any form as it is believed to induce miscarriage. People with sensitive skin should also refrain from using it, even via topical usage, as it can cause poisoning. Rue can be used as a poison antidote. It also has anti-rheumatic, antibacterial, insecticidal, sedative, digestive, anti-epileptic, anti-hysteric, anti-arthritic, and antifungal properties. Rue is good for the digestive and female reproductive systems. Rue is highly poisonous and should be avoided by pregnant women and expectant mothers.